By dint of quartering the subjective, the cognitive, the objective and the collective, how can we say the right word and live a happy life? The analysis that unties these four components comes from the hate that divides. What love will reunite them? That’s the project of a thought, the program of a language, the hope of a life (Michel Serres 2012: 75). I do not want to fix or represent the self as self, but to recognize the existence of the self in relationship with otherness and perceive the world in a place where such a relationship exists (Lee Ufan 2011: 121–22). The Two Boys began playing at the Kantju waterhole, mixing the water with the surrounding earth. They piled the mud up, getting bigger and bigger, until it was the size that Uluru is now. Then they started playing on it. They sat on the top, and slid down the south side of their mud pile on their bellies, dragging their fingers through the mud in long channels. The channels hardened into stone and now form the many gullies on the southern side of Uluru (Tommy Manta, reprinted in Anne Kerle 1995: 18). The soul is suspended in such a way that it seems to be completely outside itself. The will loves; the memory, I think, is almost lost; while the understanding, I believe, though it is not lost, does not reason – I mean that it does not work, but is amazed at the extent of all it can understand; for God wills it to realize that it understands nothing of what His Majesty represents to it (Teresa of Àvila 1964: 68). How should we know the world? That is the question. Michel Serres (2012), philosopher and historian of science, is a wordsmith. But he’s writing in a way that isn’t really philosophy any more. The citation comes from a book that reveals its learning, but is also personal and poetic. It is excessive to analysis, too: he’s resisting what he calls ‘quartering’ and he’s telling us that we need to love the world and give up on control if we are to stop destroying it. Instead we need to tell stories that work with emotions and avoid the divisions common in Western ways of knowing. For the book is a declaration of love for a world on the verge of destruction. Lee Ufan (2011), a Korean artist-philosopher, creates texts and minimalist artworks. Like Serres, he’s interested in relations and he’s critical of Western boundedness and separation. For him, selves are in patterns of relations that extend ever so far and take different materially heterogeneous forms. His sculptures absorb the viewer into a field, cultivating a sense of otherness, of that which is not present, of incompleteness. Bodies, then, and sensibilities to absence and relationality – these are crucial to his mode of knowing. Tommy Manta was from the Pitjantjatjara nation of Central Australia.1 His story is a small excerpt from a longer ‘dreamtime’ story about ancestral beings and the creation of the world. The ‘dreamtime’ happened in the past, but it is also done and redone in continuing narratives and rituals by particular guardians at particular sites. This is a world of radical performativity. If the rituals stop, then the world gets hollowed out. It stops being realised. And the stories and the rituals are site-specific, belonging to particular groups. So his story isn’t just ‘a story’ but rather the redoing of events that materialise the world, its geographical features, its animals and plants, its weather, and its people. Santa Teresa d’Ávila (1964) was a sixteenth-century Spanish Carmelite nun and mystic. Her memoirs offer techniques for dissolving the self and embracing – being embraced by – the grace of God. These demand the disciplines of prayer and penitence in which knowing is corporeal and may lead to ecstatic communion with God. There is little that is analytical here. This is a mode of knowing that is embodied, goes out to seek and to experience that which is invisible – the fire of the Christian Holy Spirit – and to be swallowed up in it. So here we have four different ways of knowing the world. And in what follows we’re going to look at a fifth – the baroque. For this is the starting point: there are many ways of knowing and knowing well, and academic styles for doing so might be revitalised by looking beyond their current boundaries. Like other human activities, knowing is embedded in practices (Latour 2013). In varied ways knowledge practices seek to make sense of the world.2 They find significance in the flux of experience by filtering, relating, deleting, and discovering regularities. But neither can we think about knowing without attending to institutions. The world needed for – and enacted by – Lee Ufan’s art is quite unlike Tony Manta’s mode of knowing. Similarly, Saint Teresa’s ecstasy is far distant from the world inhabited by Michel Serres. None, however, with the possible exception of Serres, begins to fit with academic ways of knowing. The implication is that notwithstanding their strengths, academic ways of knowing bracket, forget, and conceal much. And if we focus more particularly on the social sciences we can ask: what do their modes of knowing have most difficulty with? Here are some possible responses. Passion. How does feeling link with social science knowing? No doubt it affects our choice of topics, and some have written about their passions,3 but more often in social science we hide our loves (or hates). We may know through love, but unlike Serres we do not talk about it. Or we may know through spiritual experience (Saint Teresa), but then, like Karl Jung, we hide this reality too. Perhaps, then, as Mattijs van de Port argues in his chapter, passions constitute the way we know, but more usually they are othered. Bodies. The idea that the body might be part of method is difficult. Science and Technology Studies (STS) talks of tacit knowledge (Polanyi 1958) and of care as embodied relationality (Mol, Moser, and Pols 2010). Disability studies knows well that knowing is embodied (Barton 1996), as do many feminists (Despret 2004). But despite the exceptions, social science modes of knowing depend on but also tend to other the methodologically salient body. Material heterogeneity. STS tells us that knowing is materially heterogeneous, but the ‘methods and materials’ sections of academic papers are a pale and rationalised reflection of the messy heterogeneity of social science in practice (Latour and Woolgar 1986). And academic use of other forms of material communication – sculpture, performance, pilgrimage – is limited. There are growing exceptions4 – see the piece by Evelyn Ruppert in this volume – but mostly the material heterogeneities of knowing are denied. Excess. Academics write about ecstasy, eroticism, or religious enthusiasm, but as forms of social science method these would be unusual. The idea that love or ecstasy might count as method doesn’t sit easily with what the methods guidelines lay out. Perhaps (unlike passion, bodies, and material heterogeneity) excess isn’t allowed in at all. Or perhaps it powers academic knowing, and then it is repressed. At any rate, social science realities are made to be austere and moderate. They other excess. Specificity. Academic modes of knowing are usually universalist and assume that valid findings may safely be moved from place to place. But STS tells us that knowing is situated (Haraway 1991b). Can you move that knowing elsewhere? The answer is unclear. Perhaps knowing is not a matter of accumulation but of apprehension on a journey, or of site and person-specific practices (Verran 2001). So despite the STS warning, the universalism of purportedly generalisable knowledge tends to overwrite situated knowing. Formlessness. In the academy researchers mostly look for regular forms: in the Western tradition it is usually assumed that the cosmos has an underlying order (an assumption that does not hold in the dominant traditions of Chinese philosophy (Hall and Ames 1995; Lin and Law 2014)). There are important exceptions,5 but social science modes of knowing mostly search out structures behind the confusion of the empirical. The idea that we might open ourselves up to the possibility that there is no form, or that we could not catch those forms (Santa Teresa), makes little sense. This begs the question as to what the spaces of academic knowing afford and allow. There are many differences and discontinuities, but there are also continuities. A large story might start by saying that the Greeks organised high-status knowing in the agora, where it was debated between free men who distinguished bodies from minds and privileged reason in a search for pattern lying behind complexity.9 It might be added that significant elements of this configuration were reproduced in the Judaeo-Christian tradition and especially the Catholic Church. Schismatic and diverse though this was, it took it for granted that the world was endowed by a structure given by its maker; it stipulated appropriate ways of knowing the agency of that maker, his creation, and the regularities behind the confusions of the world; and it reproduced all this thanks to appropriate material and institutional forms. The story would continue with the birth of modern empirical experimental science in the seventeenth century.10 The natural philosophy established in the Royal Society of London created a basis for a continuing investigation of God’s enduring reality, now transformed into an experimental mode. Matters of fact about nature were distinguished from speculation, and institutional as well as literary arrangements to sustain this distinction were put in place. In the nineteenth century these morphed into disciplinarily organised universities with their specialist audiences and their ‘modest witness’ modes of textual representation. Perhaps things are changing.11 Nevertheless, this oversimplified story suggests why there might be continuities in – and family resemblances between – different modes of academic knowing. In content, academic disciplines are different, but at least until recently they have all been lodged within similar institutional structures (academic, or academically structured institutions), have implied particular economic arrangements (state and/or private sector funding), life course patterns (salaried bureaucratic posts with career paths), and modes of circulation (academic publications with appropriate forms of modest witnessing). These are modes of knowing in which there has been little space for unruly passions, messy materials and bodies, excesses, the idea that knowing might be situated, the possibility of formlessness, or performativity. This is a settlement that has, to be sure, been highly productive. At the same time it has systematically produced and reproduced forms of otherness. Perhaps it is time to move on. So how might we think differently? This book is an attempt to respond to this question. Its contributors are all interested in non-standard modes of knowing. They are all more or less uneasy with the restrictions or the agendas implied by academic modes of knowing, and they have chosen to do this by working with, through, or against one important Western alternative – that of the baroque. Why the baroque? One answer is that the baroque made space for and fostered many of the forms of otherness listed above. It knew things differently. It knew about different things. It knew extravagantly and excessively, it knew in materially heterogeneous ways, and it apprehended that which is other and could not be caught in a cognitive or symbolic net. It also knew in ways that did not gather to a single point, and knew itself to be performative. A part of a great Western division between rationalist and non-rationalist modes of knowing, the baroque is therefore a possible resource for creating ways of knowing differently, a storehouse of possible alternative techniques. To say this is not to say that it is the right mode of knowing. The book’s authors do not seek to create a ‘baroque social science’, whatever that might be, and they also work in very different ways. But before moving on to an overview of what they are after, it will be useful to ask: what is, or was, the baroque? ‘He was not tall, but short, and very beautiful’, and added that his face was ‘all afire’. ‘In his hands’, she continued, ‘I saw a long golden spear and at the end of the iron tip I seemed to see a point of fire’. ‘With this he seemed to pierce my heart several times so that it penetrated to my entrails. When he drew it out, I thought he was drawing them out with it and he left me completely afire with a great love for God’. In Bernini’s sculpture the angel has just withdrawn his spear. He is looking down on Santa Teresa with the love and affection that a parent might show for a child or the Christian God might feel for his children. At the same time she is in a place of ecstasy, ‘afire’, as she puts it, with his love. First there is the issue of subject matter. In academic social science we are sometimes inspired by spiritual concerns, and may be interested in the techniques for representing religious ecstasy, but we rarely set out to write texts intended to induce ecstasy – or loss of self in any form – in the reader. Academic knowing does not have much to do with unbounding the person, spiritually or otherwise. The knowing subject is much more self-contained. In this respect it is far removed from the baroque – though the latter wasn’t necessarily religious, so Bernini worked with classical mythological subjects too and endlessly mixed with patronage and political power. Below, for instance (Fig. 1.4), is his bust of Louis XIV. But that said, in one way or another, baroque work was very often about transcending the person. So there are several points here. Straightforwardly, the baroque recognised different kinds of realities. Those realities often had to do with the spiritual life. They belonged to a world that was extra-ordinary and only partially fitted with mundanity. In short, the baroque offers a way of acknowledging otherness and unrepresentable absences and gaps. Second, the baroque mobilises particular subjectivities: the argument of the Santa Teresa sculpture is emotional, not reasonable. Below (Fig. 1.5) is another Bernini sculpture, also from Rome. This is of the nun Ludovica Albertoni, on her deathbed in pain and in ecstasy. Is the latter sexual? Many say so. Do we share whatever it is she is depicted as feeling and resonate with it, or is it idolatrous? Again, many say yes to the last of these questions. But whatever our response, it is in part emotional. So here’s a second possibility. The baroque might be a resource for reflecting on emotional modes of knowing and learning. One: otherness. Two: emotions. And three? Straight away, we are moved to embodiment. Baroque ways of knowing or experiencing have to do with pleasure, and pain, and the flesh, often in ways that are transgressive. Look, for instance, at Caravaggio’s Doubting Thomas (Fig. 1.6). Here Thomas doesn’t just doubt. He doubts so much that (and seemingly at Christ’s invitation) he presses his finger into the gaping wound left by the centurion’s lance. The picture has been understood in many ways, for instance as an expression of homoeroticism, but a more straightforward reading is that it is only the flesh that can vanquish Thomas’ doubts – and our doubts too. So what’s at issue is sensuousness, bodily but also and more generally materially. For if baroque forms of experience are about bodies, they are about textures in other material forms as well. In the baroque, experience comes in forms of bodily sensibility that are far removed from those of Protestant asceticism. This is a place where mind-body dualisms don’t work. Cogito, ergo sum? Not at all: there are no seats of consciousness removed from the flesh. So that’s the third issue: being a body and knowing go together. I have made a small list here. I am engaged in a version of Serres’ quartering. And I will shortly characterise the baroque as a mode of knowing in terms of a longer list of attributes too. This means that I am working very much within a standard social science mode, burdened by its restrictions as much as reacting to these. I am trapped. But I hope that this does not mean that the exercise is entirely self-defeating. For the three points about otherness, emotion, and embodiment all interfere with academic social science modes of knowing in ways that resonate with concerns shared by many among us. And not only are these substantive concerns potentially inspiring, but they also have implications for the methods, or more broadly the techniques of knowing. To think about this I draw on art history and read Bernini’s sculpture as a mode of knowing that indeed works through a set of techniques. The baroque works as theatre. This seventeenth-century painting (Fig. 1.7, overleaf) shows us the whole chapel around the sculpture of Santa Teresa, and it reveals that this is a space that has been set out like a stage.20 In the middle you can see the saint and the angel. They are being brightly lit from above by a hidden source of light. They are inside a pediment with columns on either side set at the back of a shallow chapel. In front there is an altar and a low balustrade. And then on either side of the chapel there are onlookers in prie dieux that look uncannily like theatre boxes. All in all it is like a stage in a theatre. So this is the first and perhaps the most fundamental point about Bernini’s baroque technique – and the baroque more generally. Its effects, its dialogues, its scenery, and the multiplication of its artifices are theatrical. Indeed, the artifice is self-conscious, which works to highlight the limits of human modes of representation, and, in a church setting, the not-knowing we confront when we face the divine. Second, and as a part of this, baroque artworks undo boundaries. Think about the division between inside and outside. The painting above appears in most of the commentaries on the sculpture precisely because it is more or less impossible to get a photographic overview of the chapel: you can’t get far enough away to see it as a whole, let alone photograph it (Wittkower 1997 : 158). In practice, then, to see it at all, you are forced to step inside the theatre. But then the question is: where does the spectacle end? Who or what is inside, and who or what is not? The answer is that the boundaries of the spectacle aren’t clear – or perhaps it does not end at all. Rudolf Wittkower, historian of Italian baroque art and architecture, argued this is far removed from Renaissance appreciations of art. Rather, the baroque strives for ‘the elimination of different spheres for statue and spectator’ (Wittkower 1997 : 15; my emphasis). The same point is made by Genevieve Warwick who notes that baroque theatre deliberately sought to destabilise the distinction between audience and actor (Warwick 2012: 18ff), a description that fits Bernini’s chapel, which overflows in multiple and material forms. First, Santa Teresa’s bare foot hangs below the marble clouds on which she is lying.21 It escapes the frame. Second, the golden rays of light behind her burst out from heaven above to illuminate the divine grace being endowed on the saint in her moment of holy but transient irradiation.23 Third, the pillars and pediment framing the sculpture look as if they are in the process of being blown open by the force of that grace. Look at the ceiling, number four, and the illusion is extended. Up above, and reaching down in a trompe l’oeil from far beyond the roof of the chapel, a dove – the Holy Spirit – bursts through billowing clouds that are being blown aside by angels, and (another artifice of boundlessness) those clouds also extend beyond the vault into the nave of the church. And, number five (more boundlessness), the marble spectators in the prie dieux are looking in different directions. On the one hand they are part of the spectacle, and on the other hand they are not, since they also seem to be looking at it. And then, six, since one of these spectators is looking out at the visitor, she, the visitor, isn’t just looking on from outside either. She’s part of the spectacle, too close to detach herself, and is being included in the exchange of gazes the spectacle affords. And finally, seventh, in the floor of the chapel the skeletons of the dead are looking up and gesticulating in hope of the Resurrection. The theatre of the chapel overflows into the groundlings of the underworld as well. Baroque artworks are heterogeneous. They multiply their media. Bernini, we are told, ‘gave a public opera wherein he painted the scenes, cut the statues, invented the engines, composed the music, writ the comedy, and built the theatre’.26 In other contexts Bernini also organised fireworks, and designed carnival floats, squares, and fountains such as the Fontana dei Quattro Fiumi in the Piazza Navona, again in Rome. No doubt he was exceptional, but the baroque pushes towards overlapping art-media – and indeed towards universal art (Deleuze 1993: 123). These media do not collapse into a single art form, but architecture, sculpture, painting, and urban design are all joined together. ‘What is the group’, asked Wittkower, ‘of St Teresa and the Angel? Is it sculpture in the round or is it a relief?’ (Wittkower 1999 : 14). His point was that the question cannot be answered in that form. This expresses itself in material practice in the Santa Teresa chapel. The pillars and the walls are made of rich marbles of different colours. Then there is the highly polished white marble of the statue itself. The ceiling is made of stucco, and is painted, as we have seen, as a trompe l’oeil. There are flat reliefs, again made of stucco, at the back of the prie dieux, perspectival renderings that meld into and appear to extend the architecture of the church itself (Wittkower 1997 : 158). The frame for the sculpture is architectural in form. So three-dimensional sculptural work melds into bas relief, which in turn melds into two-dimensional perspectivalism, which is then interwoven with architecture. If we were to go hunting for a contemporary and analogous mode of knowing, we might think of museums, or son et lumière, or the digital, or clubbing. We would not be thinking of texts such as the one you are reading now. The challenge, then, is whether we can shift academic media to know and to handle the excessive and the non-coherent – and how we might do this. The question of how to think about boundlessness leads us to a fourth baroque technique: that of the fold. For the unboundedness of baroque artwork is not just a matter of the absence of boundaries. Rather it works by pleating insides and outsides together. Think of audiences and actors. On the one hand they are still separate, the outside and in, but on the other hand they are not separate at all.28 We are in the world of the Möbius strip. The inside becomes the outside, and the outside becomes the inside. Or they are both at the same time. Similar artifices are at work elsewhere. Consider again the figures in the boxes. Are they outside? The answer is yes. After all, they are (or perhaps are not) looking on. At any rate they are apart from Santa Teresa and the angel. But at the same time they are not separate, for they are also a part of the theatre. And we, the spectators, are in a similar position. We are looking on, so we are outside. At the same time we are also being folded in. Such, at any rate, is the conclusion we might draw if we attend to the figure lurking at the back of the prie dieu on the right who is watching not only the figure turned away from us (who seems to be talking to him) but (as we have seen) is also looking at us as well. So we are being included too, pleated into the mixture. This is the fourth part of Bernini’s technique. In this baroque mode of knowing, the artifice of the fold separates inside and outside, but undoes that separation too. It is like a screen, a fabric with two sides that are only one side.31 To put it differently, it is an artifice that works through tension or, perhaps better, displacement, between within and without. Within baroque artwork, to experience is to be outside and to be inside at the same time. How might this work in contemporary modes of knowing?32 The answer is complicated, for in this way of thinking knowing necessarily folds the outside in. So as I write this introduction I am folding in artwork from Rome, commentaries on that artwork, plus a dose of social theory. The issue, then, is not so much that there is a need to fold but rather what we make of the continuity between inside and outside once we start to acknowledge it. And this moves us to a fifth set of artifices, to do with distribution and movement. In the artworks of the baroque in Rome, understanding is located in different places. Knowing is a matter of moving. So the sculpture of the saint and the angel lie in the spatial centre of the chapel, but for the onlookers it is more complicated. In the prie dieux there are conversations (see Fig. 1.12). Someone is reading a text (Santa Teresa’s Life?) and even those who seem to be looking at her cannot really see her because Teresa is invisible from where these sculptured viewers stand. So what is happening is a multiplication of viewpoints. What to make of this? These baroque artworks thus cultivate a form of self-consciousness that is also modest because it is inserted low down in a hierarchy of spiritual experience.40 This is a mode of knowing that is contexted – this is the modesty part – but at the same time is also about the possibility of moving through or rising in that hierarchy. Modesty and a kind of grand ambition are combined together in recognition that the journey to the next Station of the Cross is beckoning and that it may lead to somewhere better through the various worldly intermediaries offered by prayer, study, and devotion. So there is one way in which what is known is almost less important than the processes of knowing itself. As intellectual historian Chunglin Kwa observes, disembodied abstraction is foreign to the baroque (Kwa 2002). Finally, I want to say that the baroque knowing becomes sensible to otherness – or the absence of otherness – by working through mediation.41 If understanding is about being seized and transported somewhere else that we cannot really know, then this is how Bernini’s Santa Teresa works in a powerful upward movement from mundanity to spiritual mystery. Wittkower proposes three levels. There is the human: you, me, and the Cornaros in their boxes, where we are more or less in the dark, both literally and figuratively. Then there is Santa Teresa, in her ecstasy, pierced by the love of God. She is the brilliantly lit mediator, human but transported beyond the human. So she is the second level. Then, third, and high above us, there is the transcendent God in the form of the trompe l’oeil ceiling where we gaze, to quote Wittkower, at ‘the unfathomable infinity of the empyrean’ (Wittkower (1997 : 158). ‘If’, writes Wittkower, ‘[the viewer] yields entirely to the ingenious and elaborate directions given by the artist, he will step beyond the narrow limits of his own existence and be entranced within the causality of an enchanted world’ (1997 : 158). Now I need to call a halt and deal with the fact that the baroque has often been the object of a bad press. 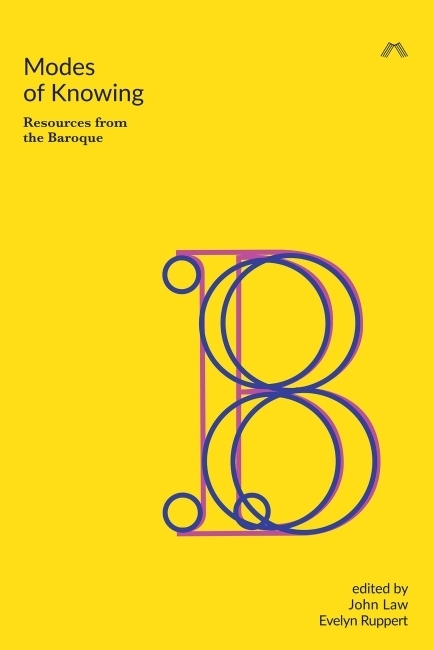 Indeed, the word ‘baroque’ started life in the eighteenth century as a pejorative term to describe the supposedly misshapen and inappropriate exuberance of art of the Catholic Counter Reformation (Maravall 1986: 208). Its politics have always been controversial, for, as Protestants well recognised, it was part of an elaborate and well-developed strategy of power. To engage with its artworks was to engage spiritually, emotionally, and physically with a Roman Catholic version of the Christian God. It was also to be embedded in the set of institutions – the papacy, including the worldly power and wealth of popes – that went with Roman Catholicism.44 So there is a power strategy embedded in the chapel and more generally in the High Baroque. A reaction to the Enlightenment, it is a mode of knowing intended to shock, to awe, to move, to demand participation, and to dominate. Perhaps, then, to be interpolated is to collude. José Antonio Maravall shows how the Spanish seventeenth-century baroque was an absolutist response to the multiplication of the economic, social, and military crises of that century. The issue was how control might be maintained in a precarious urban world of embryonic mass culture in which material certainties were under threat, but the nascent enquiring individualism and freedoms of the Renaissance could not be pushed back into their box. The answer was the creation of the ‘guided culture’ of the baroque (Maravall 1986: 73). He argues (we have seen this in the Cornaro chapel) that it worked by turning spectators into accomplices by incorporating them into unfinished scenes and working on their emotions. The lesson here is clear. Unless we’re committed to hierarchical social control we need to be cautious of this mode of knowing. In this reading, division and resistance turned around an opposition between formal and informal, and in particular between the rational calculations of the quantitative and the vital energy of the qualitative. To put it simply, the baroque was a culture in tension. It was indeed repressive but it also invited the transgressions of lively excess by ‘obeying without fulfilling’ (Echeverria 2005). So the baroque isn’t necessarily conservative. Walter Benjamin (1985b) suggested this in his rejected Habilitation thesis on German tragic drama that foreshadowed his later concern with the possibility of redemption through attention to fragmentation. The simple stories of history and necessity, ‘myths’ he called them, are fragmented in the desolation and hopelessness of seventeenth-century tragic baroque drama. And the tool is allegory. ‘Allegories are’, he famously insisted, ‘in the realm of thought what ruins are in the realm of things’ (Benjamin 1985b). Broken and incomplete, set alongside one another they do not hold together, and offer the basis for resisting the smoothing stories of history that otherwise work to paper over the cracks. They work as mute witnesses to the alternatives that have been written out of the record. This means that it is a task of the baroque scholar to find ways of giving them voice.47 Benjamin’s fragmented – and ambitious – story is thus a parable about the importance of cultivating a baroque sensibility to the alternatives, indeed the ruins, and to the Others that have been lost (Buci-Glucksmann 1994). Allegory becomes a tool for arresting history and recuperating that which has been erased by the storm of progress.48 And, indeed, this is a sensibility integral to the modern world in its earliest manifestation – the baroque. No doubt the list might be further extended. Indeed, to treat ‘the baroque’ as a mode of knowing is to move the significance of the term yet again. It suggests the need to find ways of thinking about representations, subjectivities, known realities, imaginaries, metaphysical assumptions, im/possibilities, modes of othering, and normativities, simultaneously with architectural and spatial arrangements, institutional forms, economic structures, modes of circulation, and life courses for knowing subjects. The contributions to this book reflect on the baroque, on how it works, and how it might be used in a range of different ways. Some more or less implicitly also experiment with the baroque. The book chapters fall into two sections. Part 1, Reflecting on the Baroque, starts with Mario Blaser, who considers the baroque from a Latin American perspective. Focussing on excess, he explores the ambivalent South American power-saturated history of the baroque that I briefly discussed above, and uses this as a springboard to think about the character of excess in a postcolonial encounter. His focus is that exemplary tool for social and economic development, the community participatory workshop. At stake is a territory, in the past belonging to indigenous Yshiro, which has been substantially deforested and used for ranching, and which is now a designated UNESCO Biosphere Reserve. The Yshiro, under pressure from both the clearing and UNESCO’s conservation, participate in this workshop with a range of agendas, but few fit with its ostensible purpose. Some are excessive because they are transgressive: the Yshiro are using the workshop for other political or economic ends: they ‘obey without fulfilling’. Others, more ‘traditional’ in orientation, are excessive in a more radical way: ‘territory’ implies place-based performative relations with earth-beings, while nature/culture/supernatural divisions have little meaning. To use Viveiros de Castro’s language, dialogue takes the form of uncontrolled equivocation. But what is excess? Blaser argues that this is generated in a diffraction between different ways of being which generate what he calls an ‘illuminating shadow’. For those involved in development, this is a horror of the unknown. For those embedded in Yshiro performativity, quite differently, it is what might be known-and-done differently. Can the baroque help us to think this? Blaser leaves the question open. In the next chapter, Antoine Hennion revisits the baroque revival in music and asks about the distinction between the authentic and the fake. In painting this is a distinction that makes some sense, but in musical performance it is much less obvious. Music is performed, so what counts as authentic and what as fake? Exploring this for the revival of ancient and baroque music, Hennion shows that what counts as ‘authentic’ has changed radically, between the nineteenth-century rediscovery of (say) the music of J. S. Bach and the present day. Rediscovered or at least reinserted into the concert repertoire in the nineteenth century, this music achieved success because it resonated with the expectations and tastes of a nineteenth-century musically ‘romantic’ public. This double creation of a public and ‘the baroque’ laid the ground for the contemporary taste for ‘authentic’ early music – itself a re-creation that tells us more about contemporary taste, aesthetic preferences, programmes, and desires than about the seventeenth century, and creates a vantage point from which what was performed in the nineteenth century and much of the twentieth century as baroque music is now taken to be irredeemably romantic. Hennion’s argument is that the notion of the baroque in music has been performative and has led to new and relatively pluralistic modes of empirical sensibility. Rather than there being an authentic and an inauthentic baroque, we are instead in the presence of different versions of what counts as truth. ‘Performance’, as Hennion puts it, ‘is more relevant to music than truth. It is how music is played – and re-played – that is crucial’. Perhaps this is the lesson that we need to carry with us as we think about ‘the baroque’. In the chapter after Hennion's, Adrian Mackenzie notes that big data analytics like those used in President Obama’s 2012 re-election campaign focus on individuals rather than populations. But individuals are understood as joint probability distributions within different intersecting populations. But what is a probability? There are two conventional answers. Probabilities may be objective or ‘aleatory’ frequencies, or they may be Bayesian subjective or ‘epistemic’ degrees of belief. Created at the time of the historical baroque, these two versions of probability have usually been held apart. However, this separation no longer works. Rather, both are entangled, baroque-like, in what Mackenzie calls a particular contemporary ‘mode of computational machinery’ which makes it possible to treat individuals as probability distributions. This baroque-inflected machinery includes Markov chain Monte Carlo simulation algorithms for computing multi-dimensional data spaces, in which what is taken as exact has been simulated. In what MacKenzie calls a ‘neo-baroque’ mode of knowing, objective numbers are being treated as subjective probability distributions. That is, they are folded together. As with Leibniz’s monads (as understood by Deleuze), the entire world is being folded inside. The consequence is that truth becomes variation or distributive number and simulation simultaneously builds and maps a distribution. In this distribution (and again following Deleuze) curves become causes. In short, numbers are coming from the world, the subject, and also from places between these two: individuals have become ways of including the world. This, then, is the neo-baroque world of big data. Evelyn Ruppert reflects on a domain of growing importance, that of sensory sociology, and attends again to ‘big data’. Reviewing the state of art in sensory sociology, she argues that this reveals four sensibilities: first, a sensitivity to the specificities of different media; second, a concern with liveliness, the fleeting, ways of knowing that are distributed, multiple, complex, sensory, emotional, and kinaesthetic; third, an appreciation of their own performativity; and finally an openness to inventiveness and what (following Lury and Wakeford) she calls answerability to that inventiveness – that is, a concern to detect and explore the social worlds implied and enacted in methods. With this survey as a context, Ruppert turns to ‘big data’ and explores the performative and political consequences of network diagrams. These, she argues, work by reduction to make excessive data perceptible in ways that are relatively stable, stereotyped, and numbing. But she concludes her chapter by exploring an alternative: Agnes Chavez’s (x)trees project. This is a quite different way of re-presenting relations in which those who are researched may become part of what they observe, while it is also inventive, answerable, performative, fleeting. Here data is being made lively, and becomes an encounter that is multiple and in which the self is made active, composed, and recomposed in relation to others. What happens if we experiment with baroque ways of knowing? This question informs all the contributions, but is foregrounded in Part Two of the book. Mattijs van de Port is concerned with a particular disjunction: the observation that the fieldwork realities of anthropologists (or indeed our personally disruptive experiences) do not begin to fit the smooth narrations that we are required to produce as competent academics in seminar rooms or texts. He argues that we frequently experience a world that is in excess of what we make it to be when we bring it home and domesticate it for our audiences. Van de Port finds this disturbing. There must, he believes, be a better way of recognising these excessive realities. With this thought in mind, he turns to the baroque. This, he suggests, seems to be a mode of knowing that appreciates the limits of our representational capacities, and is willing to highlight a radical Otherness – what he calls ‘the-rest-of-what-is’. But, he adds, there is a danger. If we subject the baroque to the orderly aesthetics of academia then this may threaten its powers of disruption. No longer a matter of experiencing the sense of being lost, the risk is that it might be domesticated. Perhaps if we ask instead what a baroque register does this might help. Taking the baroque of Salvador da Bahia, Brazil, as an empirical starting point, Van de Port takes us into its churches and explores how this aesthetic enters into experience to disrupt the ways in which we usually go about knowing as academics. His object is to thus prepare the ground for a ‘baroque anthropology’. This would be a mode of knowing that better recognised the ineradicable tension that underlies all representational practices. Helen Verran and Brit Ross Winthereik move us to Denmark to compare two visualising devices. Forced into the textual format of a book chapter, they ask the reader to treat this in a baroque ‘now you see it, now you don’t’ mode by imagining their chapter as a performance. The first device comes from the Danish Partnership of Wave Energy and represents five stages of technological innovation as a smooth and single path from an orderly past to an ideal future, even though the participants know reality is more complicated. The other is a 1585 Danish baldachin, or tapestry throne canopy, that visualises and contributes to seventeenth-century innovation in a baroque mode. The authors treat both as visual rhetorics or diagrams in tension with related written texts. Each figures in a collective aspiration to innovate, representing and disciplining a messy present and relating it to an ideal version of the future. But they also work in the excessive here and now as forms of way-finding or pilotage, and Verran and Winthereik argue that they work quite differently. The technoscience wave-energy diagrams enforce non-equivocation and non-contradiction, and render it difficult to manage ambiguities and ambivalences. By contrast, the baroque baldachin offers ways of thinking and living that might make it possible to go on together in difference. The authors argue that learning how to inscribe visualising devices in order to recognise them as offering both representation and pilotage – navigation through the seas of complication without necessarily falling into line – is to nurture a baroque sensibility. Hugh Raffles tells about the London Stone. What is this? What is its significance? Where does it come from? His chapter is by turns personal (he hunts the stone down in pouring rain on a grey Thatcherite November day to a run-down building near Canon Street); historical (he tells about the building of Roman London, about the revolt of Jack Cade in 1450 against Henry VI); geographical and antiquarian (in William Camden’s 1580s encyclopaedia it becomes a rather uninteresting Roman milestone); mythical (a location or a site for Richard William’s nineteenth-century Celtic revival); and geological (an oolitic limestone laid down in the warm Iapetus Ocean around 150 million years ago). So there are different stories, and different times juxtaposed, washing round the London stone, this Ur-stone, lapping up against it, generating it in their different ways: daily minutes and hours, different versions of historical, mythical, symbolic, religious, and geological times. As he tells of this, Raffles cites Walter Benjamin: origin becomes a whirlpool, movement making momentary stability. So there is no priority between the stories. Science, fiction, history, and myth: they are all intertwined. But then, says Raffles, ‘One man’s hocus pocus is another’s religion. One person’s religion is another’s occult paranoia’. And how are we to judge them? And the baroque? The term itself does not appear in his chapter, except perhaps obliquely via Benjamin. But then again, if we wanted to we could claim the piece for ‘the baroque’. Juxtaposition, displacement, incompleteness, multiplication, interruption, a refusal of abstraction, in this experiment all of these are hard at work. In the final chapter Annemarie Mol talks about clafoutis. Her interest is in using this dish as a way of talking theory and asking questions about coherence, baroque coherence. Her question is: what it is to hang together in the presence of tensions and changes? One part of the answer is composition. A clafoutis is composed of ingredients with different provenances and histories: combining these is an achievement. So agricultural worlds are being combined with techniques, forms of cuisine, the ideas and practices of nutrition, and the sensuous world of taste. As this composition implies a set of tensions and incommensurabilites, the coherence that ensues is baroque. This, however, does not mean that any random composition will do. This needs to be felicitous, to coagulate in a particular way, filled with contrasts internally, but also over time, indeed historically. So, for instance, the way the worlds of agriculture and cuisine came together in nineteenth-century France turned clafoutis into a felicitous possibility. By the mid-twentieth century the dish had spread but also altered and become ‘healthy’ (less sweet than the alternatives). Whether the worlds of clafoutis will hold together is contingent. Agricultures, modes of eating and cooking, criteria for health, all of these and more may change. And as the conditions of possibility for clafoutis disappear, the composition may fall apart. The lesson – and the fact that we digest clafoutis and excrete the remnants merely underlines this – is that baroque coherence is temporary. To last, a composite has to be done again and again – if necessary in different variants that combine different worlds together in novel ways. I am grateful to the participants at the workshop on ‘The Baroque as Empirical Sensibility’ held from 11 to 13 June 2011 at the Manchester Museum in the University of Manchester, who brought the topic of the baroque in the contemporary humanities and social science to life. This introduction reflects many themes raised at that meeting. The workshop was sponsored by the UK’s Economic and Social Research Council (ESRC) Centre for Research in Socio-Cultural Change (CRESC), and I am grateful to CRESC and the ESRC for financial support for the event. I am particularly grateful to Antoine Hennion, Helen Hills, Annemarie Mol, Hugh Raffles, Evelyn Ruppert, Anna Tsing, Mattijs van de Port, and Margaret Weiner, who commented on earlier drafts of this piece. 1 Cited in Kerle (1995). 2 See, for instance, Kuhn (1970); Knorr-Cetina (1981); Haraway (1989); and Latour (1998). 3 See, for instance, Haraway (1991a); Staudenmaier sj (1994); Law (2002); and Rose (1994). 4 See inter alia, Cole (2002); Gabrys and Yusoff (2011); Guggenheim, Kraeftner, and Kroell (2013); Kraeftner and others (2010); Latour and Weibel (2005); Law (2011b); Myers (2012); Neuenschwander (2008); Shared Inc. (2014). 5 And notably Deleuze and Guattari (1988). 6 See, for instance, Bonelli (2012); de la Cadena (2010); Law (2004)(2011a); Mol (2002); Moser (2008); and Verran (1998). 8 See several of the cases assembled by Raffles (2010). 9 See Hall and Ames (1995). 10 See Shapin and Schaffer (1985). 11 Since World War Two, academic knowing has become a factor of economic production, much research has been privatised, knowing has become increasingly functional in character and is shaped by government policy to be applied and instrumental. Perhaps these shifts have started to alter academic modes of knowing (Nowotny, Scott, and Gibbons 2001; Rabinow 1996). 15 In what follows I draw on Wittkower (1997 ; 1999 ); Hibbard (1990); Avery (1997); Toman (1998); and Hills (2007). 19 Guido Ubaldo Abbatini: Gian Lorenzo Bernini’s Cornaro Chapel (c. 1650), Staatliches Museum, Schwerin. Copyright bpk – used with permission: <www.bpk-images.de> [accessed 25 April 2016]. 20 See, for instance, Avery (1997: 144). 21 It’s important that her foot is bare: she was the founder of the discalced – the shoeless – Carmelites. 23 ‘By contrast to the calm, diffused light of the Renaissance, this directed light [of the baroque] seems fleeting, transient, impermanent’ (Wittkower 1999 : 14). 25 This is the topic of considerable discussion in science and technology studies. See Haraway (1991b) and Shapin (1984). 26 John Evelyn, quoted by Wittkower (1997 : 13). 27 <http://en.wikipedia.org/wiki/File:Rome_Fontana_dei_Quattro_Fiume_10-01-2011_11-54-14.JPG> [accessed 10 July 2015]. 28 The argument comes from Deleuze (1993); see also Hills (2007), who explores Deleuze’s argument in part with an account of Bernini’s Santa Teresa. 29 <https://upload.wikimedia.org/wikipedia/commons/4/4c/Ecstasy_St_Theresa_SM_della_Vittoria.jpg> [accessed 1 April 2016]. 30 The argument comes from Deleuze. ‘And when the folds of clothing spill out of painting, it is Bernini who endows them with sublime form in sculpture, when marble seizes and bears to infinity folds that cannot be explained by the body, but a spiritual adventure that can set the body ablaze’ (1993: 121–22). Though Hibbard (1990: 140) offers an alternative reading that deserves serious attention. His suggestion is that it is the angel who is partially clothed in fire, ‘a clinging, flame-like drapery’. By contrast, the saint is clothed (he suggests) in a ‘coarse cloth’ and seems ‘almost earthbound, as if dragged down by the weight of material that seems to suffocate her’. The effect, he adds, is a ‘poignant contrast between spirit made flesh and flesh made spirit’. Perhaps, then, we need to see the folds of the two gowns themselves as folded. For further commentary see Hills (2011a: 28). 31 I am misquoting Leibniz here. See Leibniz (1998), but of course the point is Deleuze’s. 32 There are some responses to this question. Kwa (2002) argues that there is a subordinate but long-term baroque tradition at work in parts of the natural sciences, including meteorology and environmental science, where outsides are found within. Arguably so-called ‘actor-network’ theory also works in terms of a similar – and monadological – sensibility folding insides and outsides together. See, for instance, Callon and Latour (1981) and Latour (2001). For further commentary see Law (2004). 34 I borrow from Leibniz (1998). 35 The incapacity to step outside is also reflected in seventeenth-century Netherlandish artistic practice, with rather different social, religious, and economic effects. See Alpers (1989). 36 These moved through different versions of contemplation, prayer, and ecstatic union with God. 37 These exercises were practised by the devout Bernini for the larger part of his life. Bernini also went to mass daily for forty years (Wittkower 1997 : 56, 196). 38 I thank Hugh Raffles for discussion on this point. 40 I thank Hugh Raffles for discussion on this point. 41 For the argument that the baroque, as understood by Walter Benjamin, can be treated as an aesthetics of Otherness, see Buci-Glucksmann (1994). 42 I am grateful to Antoine Hennion for discussion on this point, and I am grateful also to Mattijs van de Port for the inspiration of his work on Bahian condomblé. See van de Port (2011). 43 On mediation see Latour (2010a) and Hennion (2015). 44 Include in this pantheon the rich and powerful Cornaro clan, for as we gaze at Santa Teresa the person looking at us is none other than Cardinal Frederico Baldissera Bartolomeo Cornaro, son of one Venetian Doge and brother of another. So the question is: what are we doing in his family chapel, which is, let’s remember, also his sepulchre? The answer is that alongside everything else, we’re subjecting ourselves to his scrutiny in addition to that of God. 45 Though he feels uneasy with the term baroque; see DaCosta Kaufmann (2011). 46 Echeverria (2005) in somewhat shaky translation. Echeverria’s argument is picked up and explored by Gandolfo (2009). 47 For Benjamin in the form of the card index and the juxtaposed notes that make up the ruins of his unfinished Arcades Project (Benjamin 1999). He writes about the card index as ‘the conquest of three-dimensional writing’ in One-Way Street (Benjamin: 1985a: 62). For commentary see Buck-Morss (1989). 48 A misquote from the ninth of Benjamin’s Theses on the Philosophy of History with its commentary on Paul Klee’s Angelus Novus. ‘[The angel’s] face is turned towards the past. Where we perceive a chain of events, he sees one single catastrophe which keeps piling wreckage upon wreckage and hurls it in front of his feet. The angel would like to stay, awaken the dead, and make whole what has been smashed. But a storm is blowing from Paradise…’ (Benjamin 1992: 249). 49 For this argument applied to the conditions for felicitous speech in religion and developed in a different direction, see Latour (2010b). The argument about performativity has been widely extended to other contemporary forms of knowing, including those of technoscience. See, for instance, Latour and Woolgar (1986). 50 See the essays collected in Hills (2011b) and Hills’ introductory essay to that volume (Hills (2011a)), but also Lambert (2004). On art markets and the conditions of art production in the Netherlands in its seventeenth-century ‘Golden Age’, see Alpers (1988). 51 For accounts of this shift, see Lambert (2004) and Hills (2011a). 52 ‘The baroque’, wrote Wölfflin, ‘never offers us perfection and fulfilment, or the static calm of “being”, only the unrest of change and the tension of transience’ (Wölfflin 1984: 62) and Wölfflin (1984: 64). 53 There’s a hole in the middle, a gap, which is the invisible absence of the capacity to represent representation. Such is the point of his deconstruction of Velasquez’ Las Meninas. ——— The Art of Describing: Dutch Art in the Seventeenth Century (London: Penguin, 1989).